I almost didn’t even document this because it is so simple! 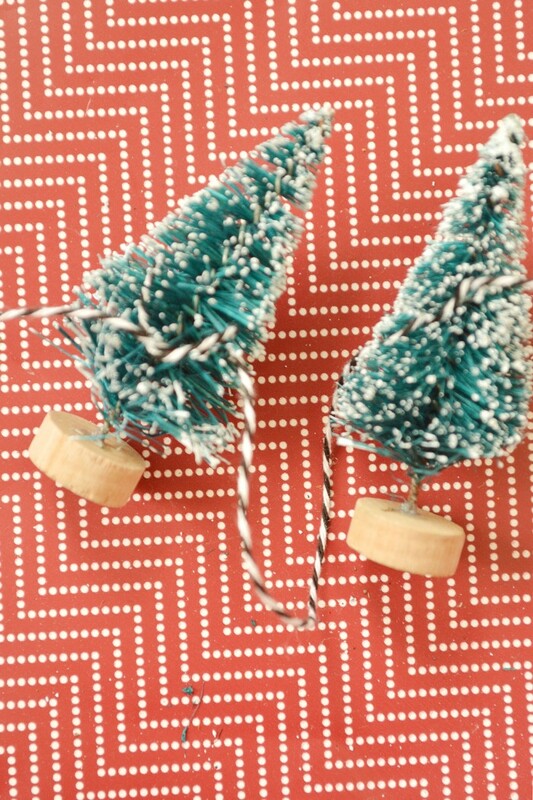 Cut a large strand of twine and then start at the end and tie the twine around the middle of the tree. Continue until you have all the trees tied on the twine. I spaced my mini trees about 3-4 inches apart from one another in case you’re wondering. 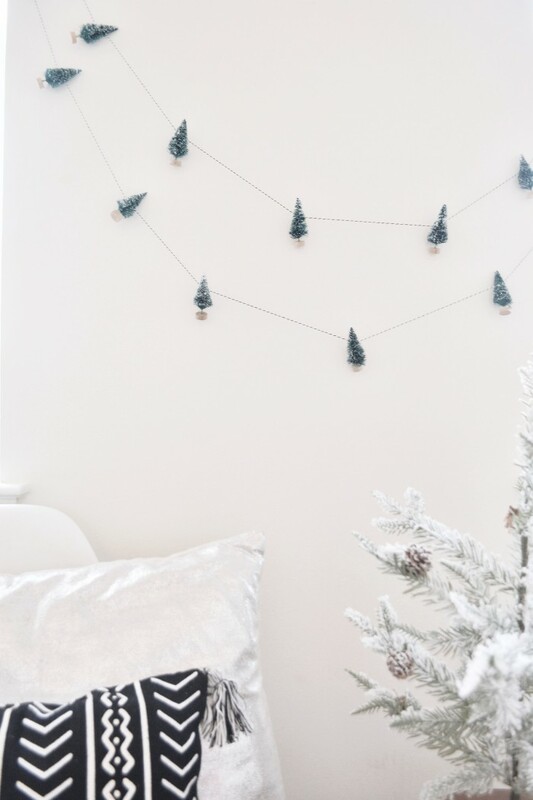 Hang up your new garland using any type of tape. The garlands are super light so plain gift tape should work well. If my tree was white this year this would definitely be my tree garland. 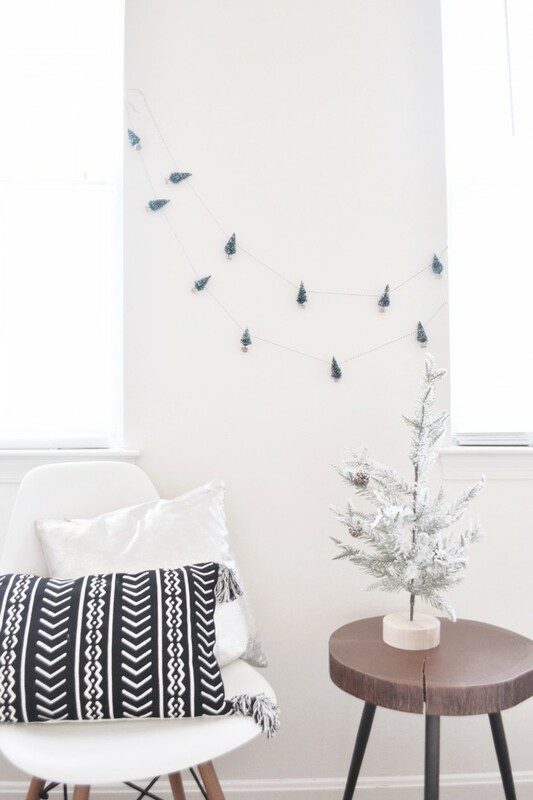 If I had a ton of larger bottle brush trees that I wasn’t already using on my mantel I would love to try making a garland with them too. These would also be great to use for wrapping gifts!